Definition of Power Animals: What are Power Animals? Power Animals are strongly associated with the Native American Indian belief in Animism that is a belief based on the spiritual idea that the universe, and all natural objects within the universe, have souls or spirits. Power Animals are believed to be a supernatural power that embodies, attaches or conveys influence empowering a person with the powerful traits and characteristics of the animal. The doctrine of this belief is that everything is alive, and possesses an inherent virtue, power and wisdom. Power animals represent a person's connection to all life, their qualities of character, and their power. Power Animals are regarded as guides who appear in dreams or Vision Quests in the form of an animal. Power Animals, or spirit guides, walk through different stages of life with a person, teaching and guiding them, and in some instances protecting them. Power Animals are sometimes referred to as tutelary spirits (or tutelary spirits) meaning a deity or spirit who is a guardian, patron or protector of a particular culture, place, person, lineage or nation. Over your lifetime you may unknowingly or knowingly have the help of several different Power Animals. Power Animals can come and go unexpectedly, especially after a few years. According to the beliefs of Shamanism all people have power animals, or tutelary spirits, that empower and protect them from harm, like guardian spirits or angels. 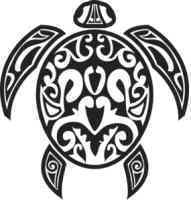 Each Native American tribe has a group of Power Animals that are most prevalent among its people refer to Tribe Totems. 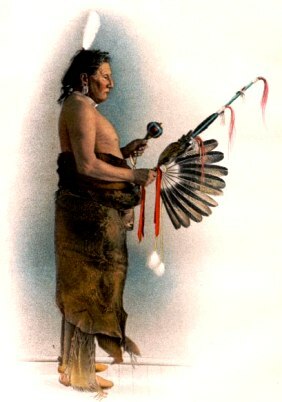 The Power Animals of a tribe usually live in the area inhabited by the tribe and have great medicine power. These tribal Power Animals are important in the life of the tribe, as guides to sources of food and other essential items or as guides to the changing seasons. Power Animals are the spiritual energy of the animal on earth. Power Animals are greater than the actual animals because they embody the spirit and essence of the animal. For instance with a bear power animal, it is the voice of all the bears that have ever lived. It is the Medicine Bear. It is the bear that can see itself and speak. The spirit of Power Animals also lends you the wisdom of its kind. An owl spirit will give you owl wisdom, and lend you some of the attributes of owl. Power Animals will often appear to the Medicine Man, or Shaman, as a vision during a Vision Quest and these Power Animals are adopted as a guardian spirit and teacher. Power Animals form part of the belief in Shamanism but also appear in the dreams of individuals. Power Animals often reveal themselves to us through our subconscious during sleep but are most strongly associated and identified through Vision Quests which are accompanied by a Smudging Ritual. Power animals are identified in dreams and vision quests if a particular animal is seen four times during a Vision Quest. A person can possess up to two of the more powerful animal Guardian Spirits or Power Animals, but many of the less powerful plant Spirit Helpers. Power Animals that appears in Vision quests and dreams all have various meanings. Each of the Power Animals has special meanings, characteristics and significance. Shamans believe visions and dreams come from the Power Animals, and they interpret signs and dreams. The following information provides details of the meanings of the different Power Animals and an interpretation of dreams that feature the Power Animal. Dream Interpretation: Dreaming of an armadillo may signify that you are isolating yourself and making it difficult for others to reach you. It might also mean that you need to be a little be more aggressive and independent. Dream Interpretation: Dreaming of a badger means your persistence and final victory over your opponents. The dream might also be a pun on badgering and aggravating others. Dream Interpretation: Dreaming of a bat symbolizes the annoyances in your life. Bats also represents your need to let go of old habits for your current way of life no longer suits your new growth and outlook. Dream Interpretation: Dreaming of a beaver building a dam, symbolizes ambition and that hard work is necessary to achieve your own goals. It is time to put your ideas into action and settle any differences with fellow co-workers and friends. Dream Interpretation: Dreaming that you are being pursued or attacked by a bear indicates aggression, overwhelming obstacles and competition. You may find yourself in a threatening situation. Alternatively, bears symbolize the cycle of life and death and renewal. It may signal of period of introspection and thinking. Dream Interpretation: Dreaming of a butterfly indicates your need to settle down. Butterflies also means creativity, romance, joy and spirituality. You may be undergoing a transformation into a new way of thinking. Dream Interpretation: Dreaming of a coyote means deception and weakness. Coyote Power Animals Meaning: The Crow helps you to find balance living in present, release past beliefs. Represents Skill and Cunning. Dream Interpretation: Dreaming of a crow represents your annoying habits and the darker part of your character. The crow may serve as a messenger from your sub-conscious. Dream Interpretation: Dreaming of a deer symbolizes grace, gentleness, and natural beauty. It has feminine qualities and may point to the feminine aspect within yourself. Dream Interpretation: Dreaming of a dog indicates a skill that you have ignored or forgotten, but needs to be activated. Your own values and intentions will enable you to go forward in the world and succeed. If the dog is vicious and/or growling, then it means some inner conflict within yourself. Dream Interpretation: Dreaming of a dolphin symbolizes spiritual guidance, your intellect, mental attributes and emotional trust. Utilize your mind to its capacity and you will move upward in life. Dream Interpretation: Dreaming of an eagle symbolizes nobility, pride, fierceness, freedom, superiority, courage, and powerful intellectual ability. Eagles also indicate self-renewal. You will struggle fiercely and courageously to realize your highest ambitions and greatest desires. Dream Interpretation: Dreaming of an elk symbolizes strength and endurance. It is an indication that you need to spend more time with friends and eat more healthily. Dream Interpretation: Dreaming of a falcon foretells that your success will make you an object of jealousy. Dreaming of that you are hunting a falcon, forewarns that you are in danger of ruining your business reputation by being too aggressive and bringing harm to others. Dream Interpretation: Dreaming of a fox represents cleverness and resourcefulness. You need to use your insight and intellect to solve some problem. Perhaps you need to conceal your thoughts and/or remain silent. Alternatively, it indicates a period of isolation or loneliness. Dream Interpretation: Dreaming of a frog represents a potential to change or to do the unexpected. Seeing frogs leaping may indicate your lack of commitment. You have the tendency to jump from one thing to another. Alternatively, it may suggest that you are taking major steps toward some goal. Dream Interpretation: Dreaming of a hawk in your dream indicates suspicions are lurking around you and your activities. You need to proceed with caution. Dream Interpretation: Dreaming of a herd of wild horses means a sense of freedom and lack of responsibilities. it might also indicated your uncontrolled emotions. Dreaming of that you are riding a horse indicates that you will achieve success through underhanded means. Dream Interpretation: Dreaming of a hummingbird suggests that small ideas or concepts may possess much potential and power. Alternatively, it indicates your flighty thoughts and frivolous ideas. It may be a metaphor for your inability to commit to a relationship. Dream Interpretation: Dreaming of a lizard can be representative of a person who you view as cold-blooded, fearful, or thick-skinned. 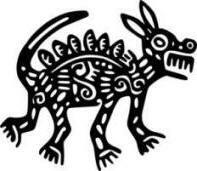 On a more positive note, the lizard also symbolizes emerging creativity, renewal, and revitalization. It might also suggest that you are well-grounded. Moose Power Animals Meaning: The Moose symbolizes the Headstrong, Balance and is the Bringer of Long Life. Dream Interpretation: Dreaming of a moose represents long life and longevity. It may refer to the elders around you. Alternatively, a moose might also indicate that you can be both powerful and gentle. Dream Interpretation: Dreaming of a mouse indicates fear, meekness, and a lack of assertiveness. You possess feelings of inadequacy and not measuring up. Alternatively, it may symbolize minor irritations and annoyances. Dream Interpretation: Dreaming of an otter symbolizes happiness and good fortune. You will find ideal enjoyment or unusual tenderness with your loved one. Dream Interpretation: Dreaming of an owl symbolizes wisdom, insight and virtue. 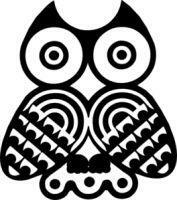 The owl is also synonymous with death and darkness. Death in this sense might also represent a symbolic death, as in an important transition in life. Dream Interpretation: Dreaming of a rabbit symbolizes caution in new undertakings. Several rabbits indicate that additional responsibilities are heading you way. Raccoon Power Animals Meaning: The Raccoon represents curiosity, adaptability and resourcefulness. Dream Interpretation: Dreaming of a rabbit symbolizes deceit, theft, and of false friends secretly conspiring against you. Dream Interpretation: Dreaming of a raven symbolizes betrayal, disharmony and misfortune. Dream Interpretation: Dreaming of a porcupine suggests that you need to look out for yourself and protect yourself from emotional or psychological harm. Alternatively, it indicates that there is a situation which you need to approach with openness. Someone in your waking life may not be revealing their vulnerability. Dream Interpretation: Dreaming of a snake, or being bitten by one, means hidden fears and worries that are threatening you. Your dream may be alerting you to something in your waking life that you are not aware of or that has not yet surfaced. As a positive symbol, snakes represent transformation, knowledge and wisdom. Dream Interpretation: Dreaming of a spider indicates that you are feeling like an outsider in a particular situation, or that you may want to keep your distance and stay away from an alluring and tempting situation. Dream Interpretation: Dreaming of a squirrel indicates that you are seeking some form of acceptance. Dreaming that you are feeding a squirrel indicates comfort through hard work, diligence and prudence. Dream Interpretation: Dreaming of a turtle suggests that you will make slow but steady progress. You need to slow down and pace yourself. Alternatively, it indicates that you are sheltering yourself from the realities of life. Dream Interpretation: Dreaming of a wolf symbolizes beauty, solitude, mystery, self-confidence and pride. You are able to keep your composure in a variety of social situations and can blend in with any situation with ease and grace. You are a loner by choice. Negatively, it represents hostility and aggression. It might also reflect an uncontrollable force or situation in your life. Power Animals. Discover the vast selection of pictures which relate to the History of Native Americans and illustrate many decorations and tattoos used by American Indians. The pictures show the clothing, tattoos, war paint, weapons and decorations of various Native Indian tribes that can be used as a really useful educational history resource for kids and children of all ages and a means to study their interpretation. We have included pictures to accompany the main topic of this section - Native American Culture. The videos enable fast access to the images, paintings and pictures together with information and many historical facts. All of the articles can be accessed via the Native Indian Tribes Index.